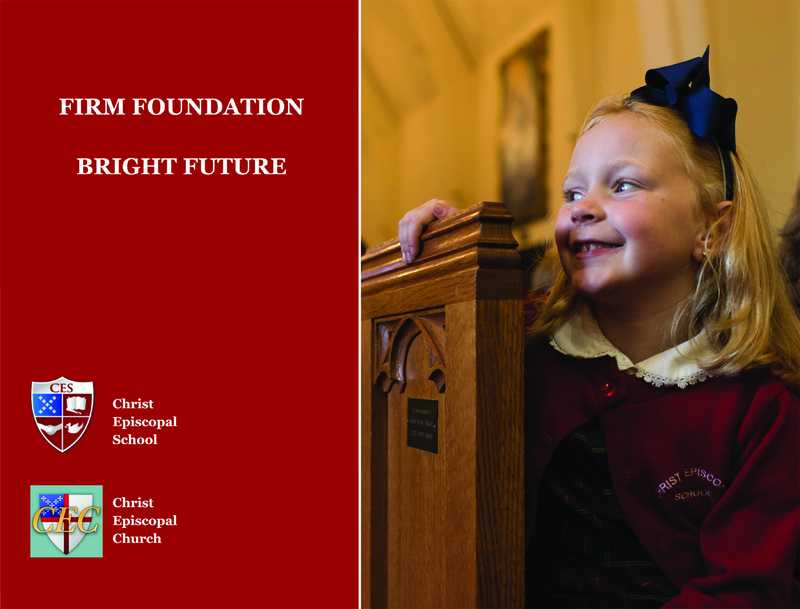 Christ Church has embarked on a process to secure the financial and capital needs of the church and Christ Episcopal School (CES) for the foreseeable future. This includes proposals to align the property holdings of CES with its needs and to consider basic improvements to our church building where we have a shared ministry. Click on the picture below to browse our campaign brochure. It has all the details of the campaign, including an artist’s rendering of the new building. Print copies are available in the church oratory and narthex. Read or listen to the Rev. Cindy Simpson's Sept. 24, 2017 sermon on Matthew 20: 1-16 and the vineyard that is Christ Episcopal Church and School.
" I believe there’s a vitally important place in the world for Episcopal schools. We are a tremendous part of God’s glorious vineyard!! Because of our school, we engage in the enterprise of building faith a minimum of six days a week – in this very space." As of May 2017, we have completed a six-week Readiness Assessment process. This consisted of numerous focus group meetings to introduce the proposed site plan and capital campaign to members of the church and school. 226 people in all attended a focus group meeting, and the feedback on the proposal was generally very positive. If you have comments or questions about the capital campaign, please contact us at capital-campaign@cecrockville.org.